"With our shift to a more expansive downtown location, we're able to offer more of what makes our annual conference unique and valuable," said SMPTE Executive Director Barbara Lange. "From start to finish, day and night, SMPTE 2018 will offer numerous learning occasions and provide attendees with more opportunities to explore technology exhibits, to network with other industry professionals at events, and to sit down with colleagues for food, drink, enlightenment, and entertainment." The SMPTE Annual Technical Conference & Exhibition is the world's premier forum for the exploration of media and entertainment technology. Registration for SMPTE 2018 will include the keynote presentation, access to the exhibition hall and all conference sessions, lunch each day of attendance (a new addition! ), and evening events including the popular Oktoberfest Reception (Tuesday) and Trick or Treat Spooktacular (Wednesday). SMPTE 2018 will conclude with Thursday's SMPTE Annual Awards Gala, available at an additional charge. Two SMPTE Fellows co-chair the SMPTE 2018 technical conference program committee: Thomas Edwards, vice president, engineering and development at Fox, and SMPTE Education Director Sara J. Kudrle, product marketing manager for playout at Imagine Communications. Technical conference sessions will address topics such as ultra-high definition (UHD); wide color gamut (WCG) and high-dynamic-range (HDR) management; workflow management; cloud and virtualized media processing; content management and storage, restoration, and preservation; over-the-top (OTT) media distribution; quality and monitoring of images and sound; new compression techniques and implementations; advances in display technologies; machine learning (ML) and artificial intelligence (AI) technology; IP-based media transport and workflow; and fostering greater inclusivity in science, technology, engineering, and math. During SMPTE 2018 all lunches will be included with the conference registration, and the extended lunch breaks will provide attendees with ample time to explore the expanded exhibit hall. Afternoon coffee breaks and evening receptions will offer further opportunities to discuss the media and entertainment business and the products and technologies driving it forward. Michael Zink, vice president of technology at Warner Bros., will chair the daylong SMPTE 2018 Symposium, which will not only focus on the state of emerging technologies related to the media and entertainment industry but also explore potential applications and exciting content opportunities afforded by these new technologies. Lunch will be provided to SMPTE 2018 registrants who are not attending the Fellows Luncheon. The Oktoberfest Reception in the Centennial Exhibit Hall will be open to all attendees, and a separate ticket is not required. Day two of the SMPTE 2018 technical conference sessions will include three concurrent sessions. The exhibition hall will open at 10 a.m. The SMPTE 2018 Annual Awards Gala will welcome ticketed guests on the red carpet and treat them to a reception and dinner honoring industry leaders. Tickets are available for purchase separately or as an add-on to conference registration. Tickets for many SMPTE 2018 events are limited, and early registration is encouraged. Early-bird registration pricing is available now through Aug. 4. 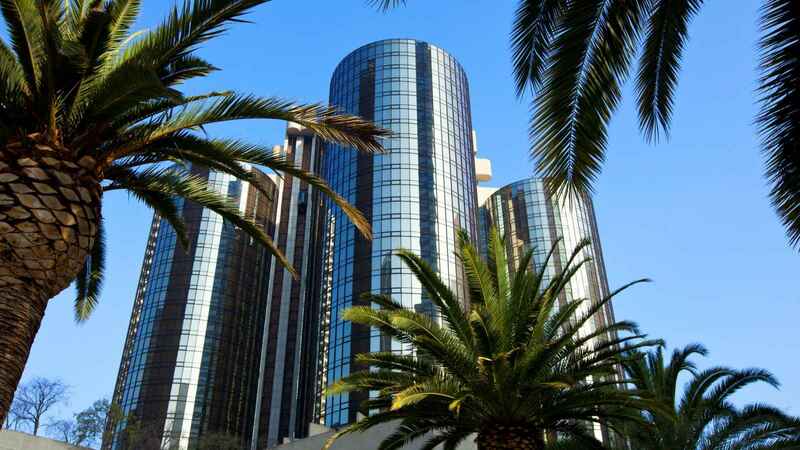 Attendees also can save by taking advantage of the SMPTE group room rate at the Westin Bonaventure, where a limited block of reduced-rate rooms will be available through Sept. 28, or while rooms remain available. In addition to registering, prospective exhibitors may still secure prime exhibit space now, and sponsorship opportunities are also available. Further information about SMPTE 2018 and the SMPTE 2018 Symposium is available at smpte2018.org. Additional information about SMPTE is available at smpte.org. For more than a century, the people of the Society of Motion Picture and Television Engineers, or SMPTE (pronounced "simp-tee"), have sorted out the details of many significant advances in media and entertainment technology, from the introduction of "talkies" and color television to HD and UHD (4K, 8K) TV. Since its founding in 1916, SMPTE has received an Oscar® and multiple Emmy® Awards for its work in advancing moving-imagery engineering across the industry. SMPTE has developed thousands of standards, recommended practices, and engineering guidelines, more than 800 of which are currently in force today. SMPTE Time Code™ and the ubiquitous SMPTE Color Bars™ are just two examples of SMPTE's notable work. As it enters its second century, SMPTE is shaping the next generation of standards and providing education for the industry to ensure interoperability as the industry evolves further into IT- and IP-based workflows. SMPTE is a global professional association of technologists and creatives who drive the quality and evolution of motion imaging. Its membership today includes more than 7,000 members: motion-imaging executives, creatives, technologists, researchers, and students who volunteer their time and expertise to SMPTE's standards development and educational initiatives. A partnership with the Hollywood Professional Association (HPA) connects SMPTE and its membership with the businesses and individuals who support the creation and finishing of media content. Information on joining SMPTE is available at smpte.org/join.